White Light/Black Rain provides a graphic, unflinching look at the reality of nuclear warfare through first-hand accounts of both survivors and American men who carried out the bombing missions at Hiroshima and Nagasaki. Debuting on HBO on the 62nd anniversary of the bombings, Bay Area audiences have the opportunity to view the film tomorrow evening, Thursday, August 2, at the Pacific Film Archives in Berkeley with director Steven Okazaki present for a Q&A. As Okazaki's website attests: Steven Okazaki's subjects range from heroin addicts to dairy princesses to Hiroshima survivors. He is the recipient of three Academy Award® nominations, an Oscar®, a Peabody and numerous other awards. His films, produced for HBO, PBS and NHK, are explorations of the extraordinary lives of ordinary people. Steven started in children's programming in 1976, producing dramatic shorts and documentaries for Churchill Films in Los Angeles. In 1982, he produced his first documentary, Survivors, for WGBH Boston. In 1985, he received an Academy Award® nomination for Unfinished Business, the story of three Japanese Americans who challenged the incarceration of their people. Studs Terkel called it "a powerful warning that hysteria, bigotry and moral cowardice demean us all." With a fellowship from the American Film Institute, he moved in a different direction with Living on Tokyo Time, a comedy about a Japanese dishwasher and her deadbeat green card husband. It premiered at Sundance and was released theatrically by Skouras Pictures in 1987. In 1991, he won an Oscar® for Days of Waiting, the story of artist Estelle Ishigo, one of the few Caucasians to be interned with the Japanese Americans during World War II. Other PBS documentaries include: Hunting Tigers (1989) a comic look at Tokyo pop culture featuring Nobel Prize-winning novelist Kenzaburo Oe; Troubled Paradise (1992), about native Hawaiian activism; American Sons (1994) about how the lives of Asian American men are shaped by racism; and The Fair (2001), a quirky celebration of the Minnesota State Fair. From 1994 to 1996, he worked with NHK Hi-Vision, producing some of the earliest HD-TV programming. Two films, Alone Together: Young Adults Living with HIV and Life Was Good: The Claudia Peterson Story, about a family living next to the Nevada Test Site, won UNESCO Awards. In the last ten years, much of his work has been with HBO Documentary Films. In 2000, HBO premiered the powerful Black Tar Heroin, a cinema-verité chronicle of the lives of five young heroin addicts. It was nominated for an Emmy and was one of HBO's highest rated documentaries that year. In 2005, he produced Rehab, a disturbing look at drug treatment, which won the prestigious Nancy Dickerson Whitehead Award, honoring journalists who have "demonstrated the highest standards of reporting on drug issues." In 2006, he received his third Oscar® nomination for The Mushroom Club, a personal reflection on the 60th anniversary of the Hiroshima bombing, which aired on HBO/Cinemax. 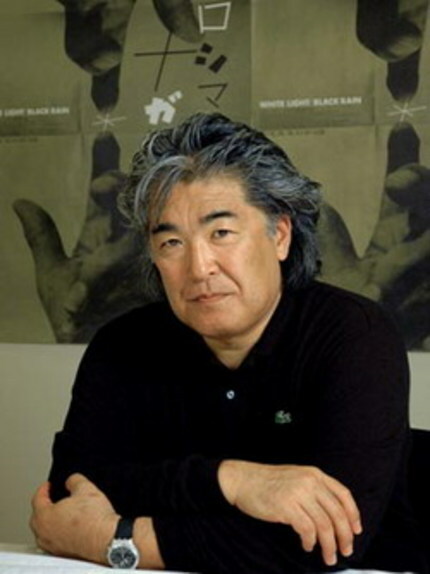 His most recent film, White Light/Black Rain—a comprehensive and vivid account of the atomic bombings of Hiroshima and Nagasaki—premiered at the 2007 Sundance Film Festival and will air on HBO in August of 2007. Segments from his films have been featured on "The CBS Evening News," "The NBC Nightly News," ABC News "Nightline," CNN and "Oprah." Steven was born in 1952 and grew up in Venice, California. After graduating from San Francisco State University's film school in 1976, he played in numerous mediocre punk bands and was featured in the Gap's famous bus stop poster campaign, before getting serious about making films. He lives in Berkeley, California with his wife, writer Peggy Orenstein, and their daughter. Michael Guillén: First of all, I wanted to say how much I appreciated your documentary White Light Black Rain. It was disturbing but informative and powerful. I imagine that the success of a project like this can be measured in the clearly-cut questions that automatically arise. I hope you'll pardon me if my questions come off boilerplate. The White Light Black Rain project seemed to have had its start way back in 1980, over 25 years ago, when you were trying to help your sister write a school report by attending an atomic-bomb film series at the Pacific Film Archives in Berkeley, California. I'm aware that you're presenting White Light Black Rain at PFA on Thursday, August 2, before its commemorative HBO telecast on Monday, August 6. Any feelings or thoughts regarding that cycle and the project finally coming full round? Steven Okazaki: I guess everything turns out to be a cycle after all. The subject of the film marked my start as a documentary filmmaker. I worked in children's films before that. But this is the first subject of the first documentary I did and, unfortunately, I think it was done 25 years too early. I didn't have the skill or the maturity to pull it off. But I was also told—[when] I was lamenting to a Japanese producer who was supposed to help me make a film for the 50th anniversary that we didn't get the film made for the 50th anniversary—that in Japanese or Buddhist thinking 60 years is a true cycle of time when you go back and reflect on something before you die or before you start a new cycle. He said it was better to make the film 60 years after the event. Guillén: That's interesting. I've actually been introduced to that concept of the 60-year earmark through the writings of Joseph Campbell. I guess in one way there was a wisdom in the delay. I suspect that one of the reasons the film is so powerful is because of its unfortunate relevancy to current times. Okazaki: Sure. Had we made the film and released it earlier, we perhaps would have had more of the reaction of people just reflecting back. Certainly with the war we're in now and the insecurity of potential nuclear weapons in the hands of North Korea or Mideast terrorists and with 9/11, people will look at the film very differently and connect it to the future. 9/11 certainly gives the film a different read and unfortunately, yeah, while we were making the film there seemed to be a story every other week in the paper connecting to some aspect of it. Guillén: One ironic insight I had while watching the documentary was during the sequence where the Japanese soldiers were profiled and their nationalistic patriotism extolled. As propaganda, their faithfulness to Emperor and country sounded the same as the propaganda about American soldiers fighting in Iraq for love of God and country. Okazaki: Well, yeah, if you listen to a propaganda film and their description of Japanese people—there's that section where they have the propaganda with the former Ambassador—you could replace [that language] for the way that people talk about the enemy in Iraq. If you really looked at a transcript, it talks about these people who have a god unlike our's that promises rewards in Heaven [rather] than life on earth. That's also a description of Christianity as well; but, they make it sound as alien and foreign as possible. Guillén: That's exactly the comment that struck me. The way they denigrated Japanese faith and nationalism in language that sounded oddly similar to descriptions of Christian military rationale. Returning to that film series on the atomic bomb that you saw at PFA over 25 years ago, what was it that disturbed you at the series? Enough to motivate you to pursue what has become a lifelong research on Hiroshima and Nagasaki? Okazaki: There were several films—it seemed like eight or nine films—and they were all devoted to the development of the bomb, the building of the bomb, the dropping of the bomb, and the aftermath. Out of all those films I remember clearly there was only one film that had a few seconds of a Hiroshima survivor in it and I was revolted that this was how history is written by these historians, scientists, politicians and strategists. Somehow it's not interesting or important enough to [include] the people that actually experienced the bomb as part of the history. I found it very disturbing. I suppose I found it racist as well that there were no survivors as part of this history. Guillén: After you had that troubled insight at the PFA series, was that when you then went to the survivors meeting in San Francisco? Okazaki: It was just around the same time. Guillén: Can you speak about attending that meeting? Okazaki: As a filmmaker you're always wasting people's time saying, "Hey, can I come talk to you?" I had not considered—it was just the possibility—of a project [on the Hirshomia/Nagasaki bombings] as something to pursue. It was just that there was so little on the subject. I asked if I could come and observe and the President of the group said, "That might make people uncomfortable if you just sit there." He said, "Maybe if you participate in some way?" He suggested I show one of my films, even though they weren't particularly relevant to what they were going through. But I took my projector over there and I showed a seven or eight-minute film about racism that I had made for a childrens educational company in L.A. When the film was over, there was polite clapping. Then one of the women, one of the survivors, stood up and she said, "I think Mr. Okazaki should make a film about us and tell the story of Hiroshima and Nagasaki to the world." Then she said, "All those in favor, raise your hand." Everyone in the room raised their hand except me. I just thought, "Oh my God, what have I gotten myself into?" I felt like these were good friends and—in other situations where you impose upon people and don't make the film—I realized I had to make the film. Guillén: You were yoked to your destiny at that point. That being the case, I remain curious what it was at such a young age that attracted you to the atrocity of the bombings and then how all these years—because it's been 20+ years that you've been researching and working with this material—how have you shouldered the weight of these truths all these years? I read one account where you confessed to crying in the editing room and I have to admit that I cried too watching this documentary. I can't imagine facing the truth of this material an entire adult life. Okazaki: I've run from it many times. There were times I thought, "I don't really want to do this. The responsibility feels way more than I'm capable of carrying." I've run from it many times; but, it's circumstantial. This project came out of the blue from HBO. I didn't instigate it with them. I, in fact, have tried to avoid it as much as I've embraced it. I have had conflicting feelings about—not about the importance of making the film—but, whether I was capable emotionally as well. But I have to say that it's a subject I do find endlessly fascinating. When I finished the cut of the film, I sort of vowed, okay, I felt good about the film and I was done and I would not return to the subject. But I was visiting Hiroshima a couple of weeks ago and—while the film was being shown at the Peace Museum—I walked over to an exhibit of paintings, some of which we show in the film, and I was fascinated again by the paintings. Although I had looked at all the paintings to choose the ones that we were using in the film, I had not read the notes. They had translations of the notes that people had scribbled on the paintings and the stories and I was again fascinated. I thought, "Wow, someone should make this film." So, I don't know, I may not keep my vow not to make another film on [the subject]. Guillén: We could only benefit by your breaking that vow, I'm sure. But speaking of those paintings which you incorporated into the documentary, along with the archival photographs, I'm curious about the timeline of this documentation. It's my understanding that the photographs were banned for over 25 years? Okazaki: The Americans confiscated the Japanese footage, which is most of the B&W footage, and it was only declassified in the late '60s, even early '70s, at least 25 years. The Japanese were ordered to confiscate it but they either made a negative of their footage or kept the original and gave the Americans a dupe negative. That footage was released elsewhere before the Americans declassified it. That footage came out in the famous Alain Renais film Hiroshima, Mon Amour. It appears in that film. But most of [the Japanese footage] is currently accessible. One thing we tried to do with the footage—I've seen other films where people talk about August 6 and then they cut to the archival footage. It makes sense except that footage was shot four or five weeks later when there's order and people are in bandages and the nurses' outfits are clean. Things had stabilized a little bit in terms of the care of the survivors. What we tried to do with this film is use the footage, the photographs, in the context of when it's really happening. Obviously, on the day of the bomb, there was very little recorded and the drawings weren't done at that time; they were done later. They're from people's memories that are very clear. They're images that they haven't been able to escape from that day. They have the urgency of that day. Guillén: They certainly do. They're powerfully effective. According to the HBO website, there are more than 200,000 hibakusha—survivors exposed to the bomb—living today. Alternately, they're called pika-don (flash-boom) people. You met more than 500, interviewed more than 100, and finally brought it down to 14 individuals. Can you speak about that process and how the stories were narrowed down? Okazaki: Firstly, what I wanted was to get people with the clearest, sharpest memories. There were some older people [who] had okay memories but it felt like they were talking about something that happened long ago. The people that we chose all had the feeling like—in their minds—it happened just yesterday. They can remember it as clearly as if it was yesterday and that makes the film feel more immediate and pressing. We left out many older people. Their memories came slowly and they were fading. And then we left out many young people because, also, they might have some clear memories but I felt that—when you're five years old, your memory is fragile—and part of their memory was accurate, but other parts had been influenced by somebody else's story, even perhaps something they read or saw in a movie. That was the first and most important [consideration]. Beyond that, what I try to do is have the first interview for me be the first interview we film. I try not to go to too much in depth when I'm meeting people though, frankly, sometimes you can't avoid it. People, you ask them to tell their story, or ask them a simple question and they'll jump into their story and they can't [stop]. You have to try to stop them because they're anxious and their answer is telling you the whole day and so it would be a two-hour pre-interview. You meet someone you get a feel for, that there's a story there. Several of the people when I first met them barely talked but I could sense they had a lot to say. We picked people we felt were clear. Surprisingly, most of the Nagasaki people were much more open. After the film was edited and I looked at the people we had cut out, most of those people were from Hiroshima. Then I realized those people from Hiroshima that are in the film don't live in Hiroshima anymore. There's still this feeling for some of them that they cannot—even after all this time—tell their story without people being critical, without facing discrimination. Even in Hiroshima it's really hard to have people talk openly without fear. Guillén: Those cultural inflections of both recollection and discrimination come across compellingly in your documentary. Likewise—for fear of alienating your audiences from too painful and vivid a recount—did some editing go into stories you felt you could tell that audiences could handle? Okazaki: Normally you grab every dramatic moment in an interview; but, frankly, it would have been unbearable for a subject that's already really tough. We had to cut out more powerful stories than we put into the film. There were so many suicide attempts. We had to pick one to represent the rest. Guillén: The story of Sakue Shimohira is devastating and will forever be indelibly imprinted into my psyche. Her mother crumbling to ash in front of her eyes. Her sister dying of radiation sickness and throwing herself in front of a speeding train. Sakue Shimohira's is such a profoundly sad and horrific tale—I can't imagine one more horrific—and yet her tale is also triumphant for her having survived to tell it. In terms of the cultural difference in recollecting, can you speak about why it's so difficult for a Japanese individual to feel free to speak? Okazaki: For the Japanese, the most important thing is to be part of the group, not different from the group, not an individual; but, to be part of the whole. There's the popular phrase that even I as a third-generation person heard, which was: "The nail that stands up gets pounded down." Talking about yourself in a way that elicits pity or admiration or sympathy is looked down on in Japanese culture. For these people to speak out, they potentially face criticism from their neighbors, friends, and society in general. It's an ironic thing. In Japan the survivors are talked about in a special way but in reality they're [discriminated against]. It's the problem. It happens even here. One of the survivors lives in California and people are anxious to meet her but they almost treat her as if she's not a real person. They treat her as a hero-victim and I think that's wrong. My whole point is that the bomb can happen to anyone and it did. It happened to people on their way to work, on their way to school. It makes me uncomfortable when people react in the other way, making them special, going, "Oooooh, there's a survivor here." In Japan, you have both things happening. People are very critical and the survivors can be made to feel uncomfortable. When I meet a survivor and they're married to someone who's not a survivor, they make a big deal out of it, as if that was an act of love on their part and they make a big point. Survivors still marry survivors and enter survivor families in Japan and people still hide their identities. Children and children's children of survivors still hide their identity. Guillén: Would that account for the startling introductory sequence where you're interviewing young people in a Hiroshima shopping mall, asking them what happened on August 6 and August 9, 1945, and they know nothing about the bombings? Is it a subject that is just not talked about? Period? Okazaki: I was completely surprised by that. I'm not sure why none of those kids that we met [knew anything about the bombings]. I think it's more about … Japanese are in love with the future. The past is gone and people don't like to think about it. Most of the aspects of WWII people in Japan just don't talk about. Guillén: My friend Frako Loden suggested to me that young people in Japan also disguise their intelligence. Okazaki: That's interesting. I'd love to talk to her about that. Guillén: Maybe these kids knew more than they let on? Maybe they didn't think it was cool to admit they knew? Okazaki: I think that's possible in other situations but I don't think so in this situation. Their faces, they looked befuddled. We gave them a nice lunch afterwards but we came to them as if they'd win a prize if they knew. Guillén: I guess I asked you earlier about your youthful preoccupation with this subject by contrast to these young kids in Japan who have no knowledge, let alone interest. Was it your father's military involvement that made you aware of the whole subject? I remain curious why such a young person would become interested. Okazaki: I'm not specifically a political person. I don't have a special message that's more valuable than anybody else's. I don't feel a dying urge to get something across. [Mine] is a desire to put a human face on this story. I'm disturbed that—when people talk about Hiroshima and Nagasaki—95% of the time they're talking about Harry Truman and the decision to drop the bomb. That's a way of avoiding the fascinating and tragic human story and I guess it's more of a rebellious act on my part to say, "Let's talk about the survivors instead." Guillén: Clearly, your intent with this subject was to humanize rather than politicize, or—as you were saying—the story vs. the message. In your interview with HBO you commented, "[I]f we just let the people tell their stories, that in itself is a political act." And at the history forum held at the film's premiere at Sundance, historian Ian Burma stated: "A documentary film or feature film on historical subjects can't do the same as a rigorous book in terms of thoroughness or analysis, but can do different things, sometimes more powerfully; it can give us a more intimate view of the past, through individual experiences." Can you speak to that powerful, intimate difference between story and message and what you were hoping to accomplish as a filmmaker? Okazaki: I'm in the Motion Picture Academy and help judge documentaries. I get this big box of films [to review] and I have a really hard time with the films where it's clear that—even though it might be a message I'm in total support of—I have a really hard time with the documentaries where you see the evil polluter and the beautiful lake with the birds in it right at the top of the film. Basically, I wonder why I need to watch the film? If the message was probably clear when they proposed it to the funder? I'll watch the films if I have to but if I don't have to, I'll turn them off. I don't see the point in the exercise. Why don't they just write the message on a piece of paper and give it to you if the whole film's going to be a back-up message? I have a problem with films about Hiroshima and Nagasaki—not that I particularly disagree with anyone—but, if I know everything's going to be tailored, if everything I see is going to be in service to just telling us that war's bad and bombs kill people, but not present us with a film experience, to get a sense of what happened, to get a sense of what people went through and to feel it, my feeling is it doesn't really matter what the message is if it's boring. My job is to tell the story and try to tell it in an interesting way so people will watch it. Guillén: Wrapping up then, White Light Black Rain world-premiered at Sundance. It also showed at the Human Rights International and you've done presentations at various venues in the past few months. What has the audience reception been like? What has been the tenor of your Q&As? Okazaki: My greatest fear was relieved when we were at Sundance. My main fear was that after the film we [would have] nothing but discussions I had before the film or that I've heard, which is about the justification of the bomb, whether it was right or wrong, and this is my theory. It's been rewarding that that has come up only—I'd say—about 5% of the responses from the audience; somebody not really responding to the film, but wanting to state their opinion about why it was justified or why it was not. That's not what the film is about. It's not about the speculation, but the reality. I've been over and over again really encouraged by the response to the film. Sundance had a special high school screening in Salt Lake City that I was initially very reluctant to do. The high school kids—some of them had read Barefoot Gen—and they were not the special high schoolers, they were regular [students who] wanted to get out of regular classes. What's also been gratifying is we've shown the film several times in Japan. Their response has been a little bit different, just in terms of which side of the war they were on, but really similar [to American audiences] in terms of responding to the survivors and their stories. The discussions haven't gotten caught up. The other day we showed the film in Salt Lake City. A woman came up to me in a wheelchair and she said, "Good movie. Very informational." She started to roll away and then turned back and shouted in a really angry voice, "But it was necessary!" If she thinks so, fine. Perhaps it was. But the way she said it reminded me of what I feared were people saying, "It was necessary and I don't want to hear anything about it. There should be no examination of it and these people should keep their mouths shut." But she was at the screening at least so that was something. It reminds me of the feeling I had before the film when we started doing the film that people absolutely did not want to hear anything about it and the people that think it's justified aren't even open to actually knowing the story on the ground. Of course, we're doing film festivals and [the audiences] are not the same people who would be watching the All Stars Game; but, it will be interesting to see when it's on HBO, what kind of reaction they'll get. Even some of the progressive response has been much better than I expected and not so caught up in the issues and the strategy. Guillén: I'm heartened to hear that and I'm certainly looking forward to your interaction with your PFA audience later this week. I basically want to wrap up by saying that one of the film's main accomplishments is that you have shown that the process of humanization is a difficult one. The capacity to humanize is like an atrophied muscle that needs to be strengthened so I thank you for your efforts in doing that through this powerful documentary and I wish you the best with it. Okazaki: Thanks a lot, Michael. Good talking with you. White Light Black Rain screens tomorrow evening, August 2, 2007 at the Pacific Film Archives in Berkeley, California, with director Steven Okazaki in person to field questions. It then airs on HBO on Monday, August 6, 2007, commemorating the bombing of Hiroshima. Of related commemorative interest, The Roxie Film Center will be screening the 15-minute short Hibakusha wherein Keiji Tsuchiya paints watercolors of his remembrances of the bombing of Hiroshima. Hibakusha directors Kathy Sloane and Emiko Omori will be present for Q&A. Hibakusha will be followed by Rabbit on the Moon, Omori's documentary on Japanese internment during WWII. This Roxie double-bill begins at 7:00. Photo of Steven Okazaki courtesy of Hidemi Shinoda. Cross-published on The Evening Class.